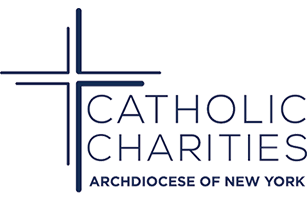 Catholic Charities of New York | Immigration Legal Clinic in Ossining! Immigration Legal Clinic in Ossining! Come join us on February 15th, 2019 at our Westchester County Community Legal Clinic and serve your community with Catholic Charities! Dedicated and personable volunteers are needed for information gathering, legal screenings, and application assistance. You will meet with prospective clients, gather information about their journey to the United States, their life histories, and work with Catholic Charities attorneys to inform immigrants about their rights and legal options. Training will be provided via webinar a week in advance of the clinic. Two shifts are available 9:00am - 1:30pm and 1:00pm - 5:30pm. Sign up for one shift or both! To sign up for an all day shift, please select the second option.